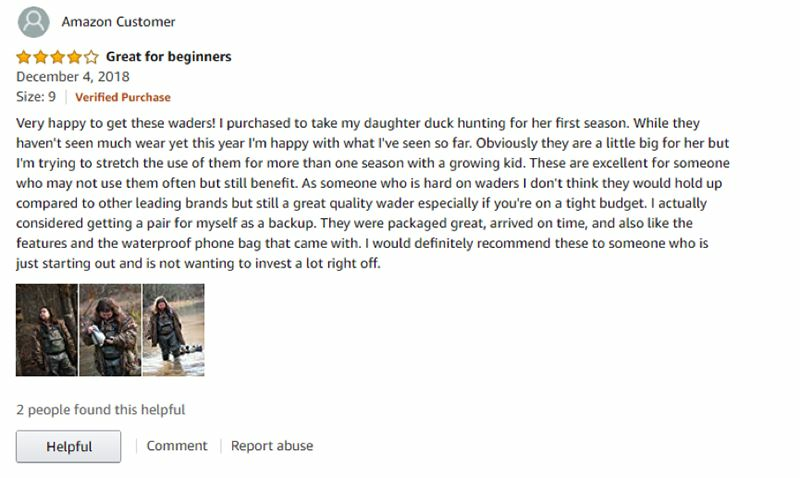 I am very happy to see that Amazon finally uses customer feedback on our products 4mm camo neoprene waders. We have developed and produced this fishing waders together with our customer, which has been well received by users. This is our recognition and encouragement of our quality. We will continue to pay attention to the control of product quality working process .